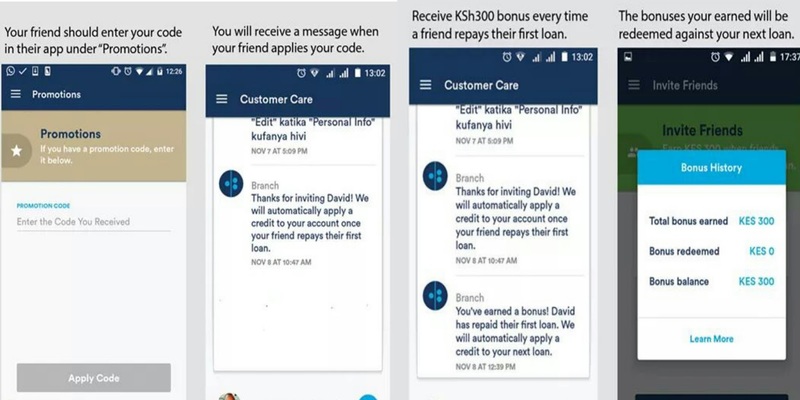 Did you you that as a branch loan app client,you can also earn commissions from friends referrals apart from borrowing quick loans? 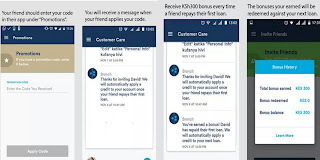 Since the introduction of the new branch loan app late last year,existing app users can earn ksh300 for each referred friend who successful repays their first loan. 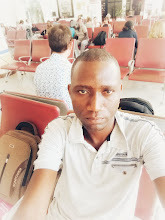 Branch international assigns each customer with a unique promotion code which is then used as the referral path for that single customer.The code can be shared to social media platforms for example Facebook,twitter,LinkedIn or shared on SMS apps for example whatsap and messenger. If you want to use Branch for the first time,simple download the loan app and enter promotion code z0ngjq (in this code 0 is number zero) after downloading the app.Touch the menu icon on the top left corner and select 'Promotions'. Tap on the three bars on the upper left hand corner to get to the menu. Select the messaging or social media app to invite friends from. 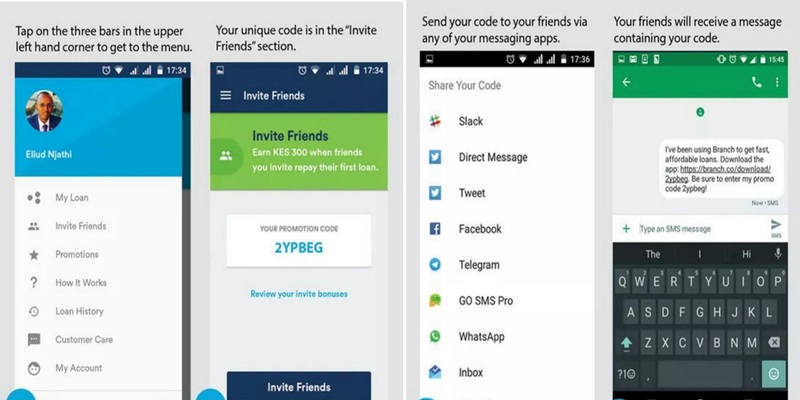 Your friends will finally receive your invitation message for their action. Make your invited friends know about the first point below,the other points are just for you the existing client.